SKU: 17159. Category: Easels. Tags: Easel, reeves, Sheffield. 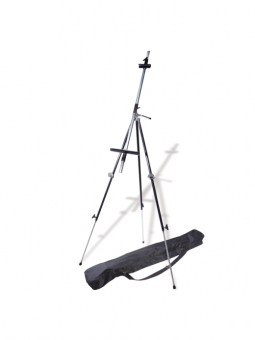 The Reeves Sheffield Easel is a quality metal field easel, which folds away for easy transportation. This easel features telescopic legs that offer good stability in the field and comes with a black canvas bag for easy storage.